music&me - Website of commonroom! 10 weeks music journey starts! 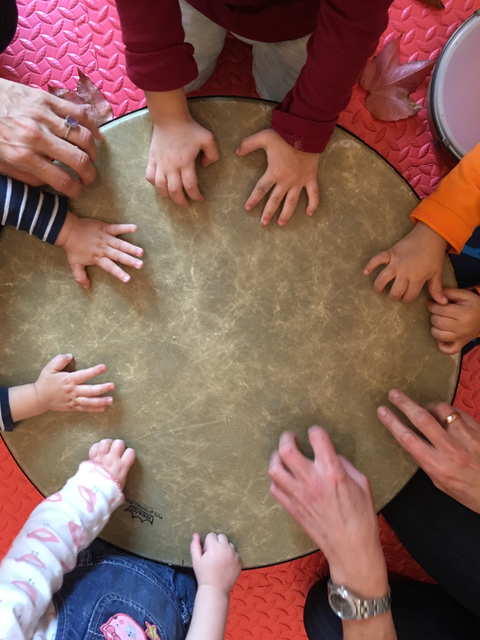 All children are musical and have the same ability to learn music as a language. The goal is to nurture the child´s natural enthusiasm for music and movement. We sing, dance, and play basic instruments together. VERENA MOCHAR was for 12 years the Director of MUSIC TOGETHER/VIENNA. She got training at the Center of Young Children in Princeton/USA. She has a BA in Musicology, German Literature and Early Childhood Education. From early age on she took classes in Classical Singing and Jazz in Carinthia, Vienna and New York and she performed in several concerts.